How are Airport Amenities Transforming Your Airport? The days of getting to the airport hungry and having to choose from a couple different stale prepackaged sandwiches is coming to an end... Maybe I am over dramatizing the subject. Over the years, airports have been transforming from utilitarian buildings with food services that make a High Schools Cafeteria look like Benihana, to opulent meccas of culinary delights. OK, I am over dramatizing again. In the last Airport Parking News roundup, we editorialized about Airport Parking Expansion. 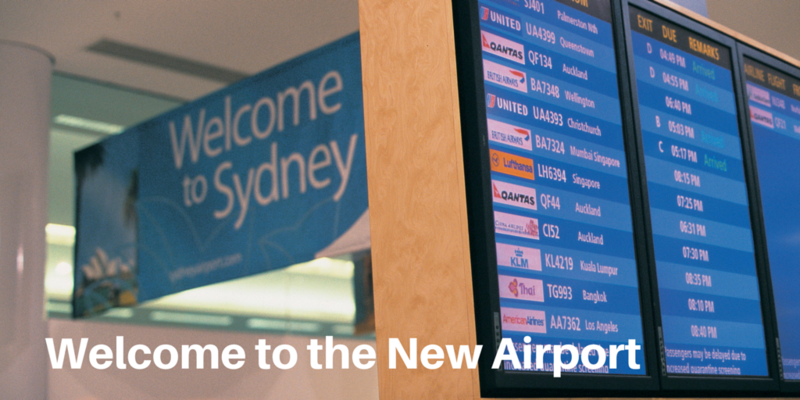 We have also covered some of the changes transforming the outside of airports. We have covered Uber airport transportation and other ride-sharing services being blocked by airports while another airport welcomes Uber. Today the lead story covers some interesting airport amenities popping up in airports around the globe. People spending more time at the airport because of long security lines and flight delays results in a demand for the new airport amenities. Airport operators looking for more revenue streams leads to the receptiveness to new airport amenities and creative ideas. Businesses including restaurants, clothing, gift, etc. that are traditionally off airport look to airports for branding opportunities and expansion. From golf to shopping malls to trendy lounges, what are your favorite airport amenities? Add your comments at the bottom of this post. Travelers are spending more time in airports thanks to things like longer security lines and airline flight delays. With that, airports around the world realize that they have a captive audience that’s willing to spend money in their terminals. So they have stepped up their efforts to go after those dollars by offering new and unusual food/beverage, retail and service offerings. Six airports have gone above and beyond by offering unique and unusual concessions and services for travelers. CASSIE MacDUFF: What's coming at ONT? New CEO when Ontario International Airport returns to local control, and automated parking before L.A. lets it go. The job description for the new Ontario International Airport CEO has been posted and the airport authority is recruiting for someone to lead ONT as it transitions to local ownership by next year. We believe the response to Sun Pass failure highlights management problems within the Broward County Aviation Department. Use the comment section at the bottom of this post to tell us about your favorite airport ameneties.